Your doctor has proscribed Belladonna/Morphine rectal suppositories, custom-made from your compounding pharmacy. But what is it and what does it do? Belladonna extract or alkaloids make up the “B” part of the combination. It is made from the leaves and root of the Atropa belladonna plant. Belladonna is a potent anti-spasmodic drug. Another commonly used medicine derived from this plant is atropine sulfate. Morphine is the main narcotic principle of opium and is used to make up the “O” portion of your suppository. Morphine is a pain drug, or analgesic. It can also be habit-forming. Why use a Belladonna/Morphine rectal suppositoriesrectal suppository? Your physician may prescribe this medication if you suffer from urethral spasm pain. Symptoms such as moderate to severe urethral pain and spastic muscle contractions. Talk to your physician before taking Belladonna/Morphine rectal suppositories if you have a history of narcotic or alcohol dependency, mood disorder or suicidal thoughts. Discuss all medications and supplements you are currently taking with your physician and pharmacist. 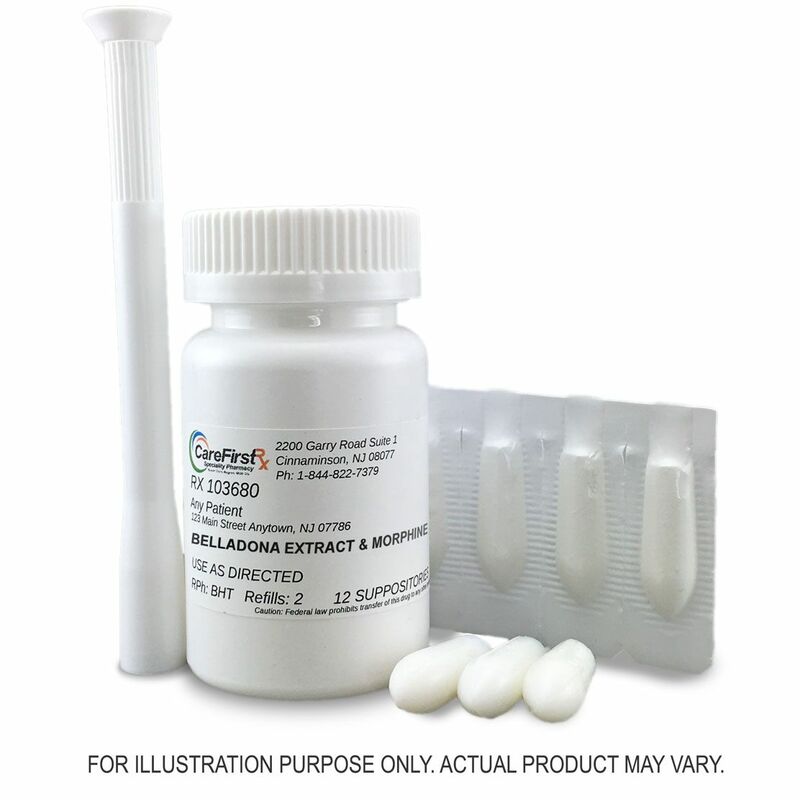 Some drugs, such as buprenorphine, naltrexone and buprenorphine may interact with Belladonna/Morphine rectal suppositories. Use the medication as prescribed by your doctor. The information provided is not intended to cover all possible uses. This information is generalized and not intended as specific medical advice. If you have questions about the use of your prescription, please contact your prescriber.